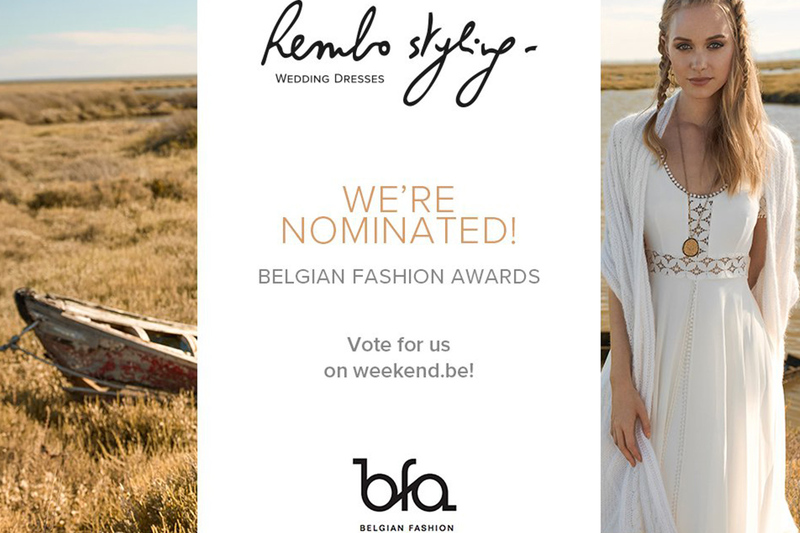 Rembo Styling | We’re nominated! for Fashion Brand of the Year! She is elegant, spontaneous and a tad rock ‘n’ roll. Her love for groovy fashion is both avant-garde and timeless – you’ll see it immediately in the special boho chic dress she’s wearing. Nobody can resist the appearance of the Rembo Bride celebrating her dream day. That’s exactly what the organisers of Belgian Fashion Awards 2017 were thinking when they nominated Rembo Styling this month for Fashion Brand of the Year! We’re counting on your vote! The Belgian Fashion Awards were specially set up to bring talent from the Belgian fashion sector into the spotlight. Are you a Rembo Bride or do you just love our unique boho dresses? It’s your vote that counts!